최덕지초상및유지초본(崔德之肖像및油紙草本)는 조선 전기의 문신이자 학자인 최덕지(1384∼1455)의 초상화의 원본과 초본이다. 최덕지는 조선 태종 5년(1405) 문과에 급제한 후 전라도 여러 곳의 수령을 지냈다. 초상화의 원본은 비단 바탕에 채색되었으며, 크기는 가로 53㎝, 세로 74㎝이다. 책이 놓여져 있는 책상을 앞에 두고 의자에 앉아 있는 모습인데, 얼굴은 오른쪽을 향하고 몸체는 정면으로 돌려져 있다. 모자는 고려말 조선초의 과도기적 형태이며 반투명한 모자 속에 상투 부분이 검게 비치고 있다. 의복은 하나의 색으로 표현되었고, 얼굴은 전체적으로 갈색빛을 띠고 있으며 눈썹은 먹으로 엷게 칠한 위에 털을 한올한올 밑으로 숙여지게 표현하였다. 발 부분은 나타나 있지 않고 손은 밖으로 나와 있는데, 이는 고려시대 초상화의 특징을 보여주는 것이다. 선생의 만년기 때 모습을 그린 이 그림은 얼굴 및 옷주름 등의 처리에서 사실적이고 세밀한 묘사를 잘 보여 준다. 종이에 그린 초본 역시 원본과 같은 크기이며 초안 과정을 살필 수 있는 귀중한 자료이다. 이 초상화는 조선시대 초상화 중 가장 오래된 사대부 초상화로, 이 시기의 표현방식 및 기법, 복색 등을 알 수 있으며 당시 선비의 모습을 잘 표현하였다. 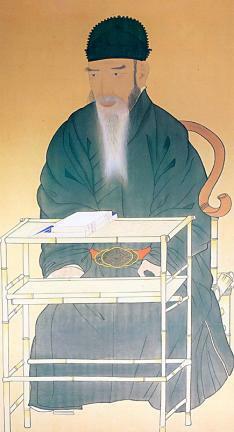 This is a portrait of Choe Deok-ji (1384-1455), a scholar-official of early Joseon, accompanied by a preparatory drawing used for the portrait. Choe Deok-ji was admitted into civil service in 1405 (the 5th year of King Taejong’s reign) to serve, thereafter, as the governor of various towns in Jeolla-do. 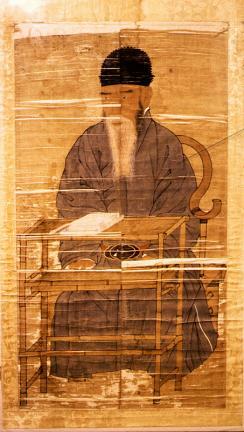 The portrait is painted in ink and color on silk and measures 53㎝ by 74㎝. 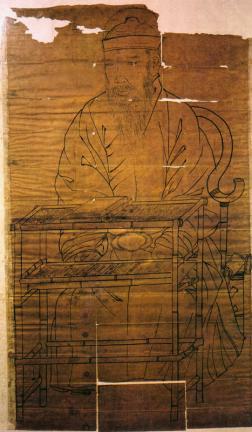 Choe Deok-ji is shown seated on a chair in front of a desk with a couple of books on it. The head is slightly turned toward his right, while the body is facing the front. The semi-transparent hat, through which the top hair knot can be seen, is in a transitional style that existed between late Goryeo and early Joseon. The clothes are in a single tone, and the face in a brownish color. The eyebrows are depicted meticulously with individual hairs shown pointed downward over a background painted in pale ink. The feet are hidden under the long garment, with only the hands left visible; details that are characteristic to Goryeo-period portraits. A portrait of Choe Deok-ji in his late years, this work is realistic and finely-detailed, notably in the depiction of the face and the drapery. The sketch, identical in dimensions to the finished portrait, sheds an interesting light on the preparatory steps taken in creating this portrait. The oldest Joseon-period portrait of an official, this painting provides insights into the style and technique prevalent in early Joseon, as well as the attire and general appearance of an official in this period.